For decades now our nation has been the target of an invasion by millions of people who crossed our borders illegally from other parts of the world, while our powerful armed forces have been engaged against different challenges in other continents. More than two dozen years ago we thought that the quick-fix, magic solution to this de facto invasion of our own land was just to ignore our own laws and to accept that those alien invaders could remain permanently and legally within our country. Bingo! Problem solved, right? How naïve and unrealistic we were! That “magic solution” (the 1986 “IRCA” amnesty for aliens illegally in the U.S.) was nothing more than our own failure to face the real world and to think the problem through before acting. From the time of the ’86 amnesty, the inevitable and logical result has been that the amnesty law itself became an invitation and lure for many more millions of aliens to enter and remain in our nation illegally. And those now vastly outnumber the ones who benefitted from the ’86 amnesty. Today, incredibly, apparently from inexcusable ignorance of our own past, or from blind political expediency at its worst, or both, we have the very recent spectacle of a number of United States Senators publicly proclaiming their support for yet another amnesty for the now much larger number of millions of aliens who have entered and are present in the United States in violation of our own laws. Alice in Wonderland cannot begin to rival this fantasy. At this rate, in another couple of dozen or more years, after we’ve formalized this new red-carpet invitation to invade us to the rest of the planet’s inhabitants, we’ll have to have yet another amnesty for the future millions, and then another, ad nauseam. The question is not ”have our politicians we lost all their senses?” because the obvious answer is that they already have. Are you listening, Mr. Schumer and Mr. Obama? What is your real ultimate purpose in pushing this insanity? Blind, suicidal, self-advancing political hypocrisy at its worst !!!! If they succeed, let’s get ready to become the United States of Bangladesh or something similar. No other nation on this planet would even think of such lunacy. They would consider it treason just to be promoting it. Is this still the nation for whose preservation so many of our heroic soldiers, marines, airmen and sailors gave their lives in World War II ??? 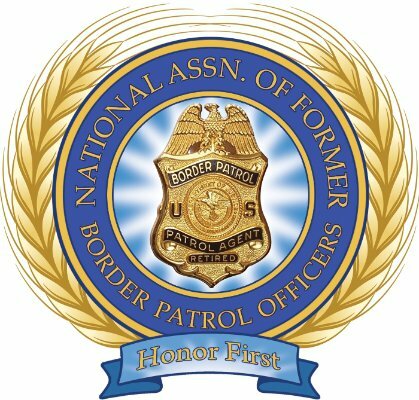 -Gene Guyant, Chief, U.S. Border Patrol Retired, and a Founding Member of NAFBPO,Inc. Permission granted to share in it’s entirety and with full credit, including NAFBPO’S weblink.